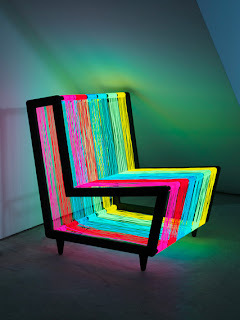 Commissioned by Wallpaper* Magazine, the Disco Chair is a bespoke illuminated furniture concept. 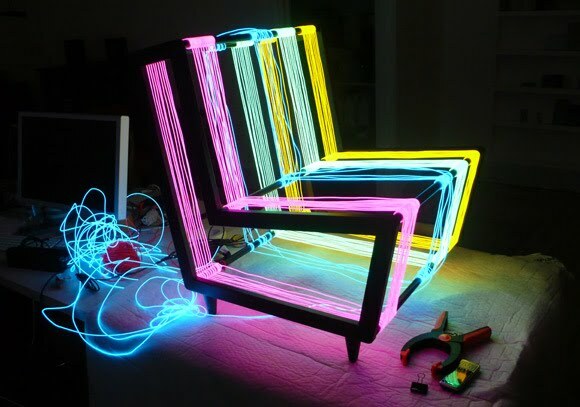 Constructed from 200 linear metres of Electroluminescent wire, the chair transforms into a neon rainbow when powered. A pulse setting enables the chair to flash on and off creating an instant disco installation.